The next step in counting money is to work with paper bills. 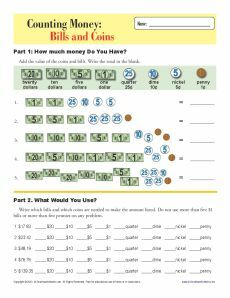 In this worksheet your student will count the bills and the coins to find a total. Use it as practice for Common Core Standards for Measurement and Data for 2nd grade, or a a drill for other students.